Our Samson staff boasts 50+ years combined experience helping men, women and children with hair replacement solutions. Established in 1993 by Karen Murphy, Samson Inc. has grown into a talented team of hair replacement professionals offering a unique and effective concept in hair replacement. Samson brings a new approach to the hair replacement market by tailoring services to meet the needs of each individual client. Offering 50+ years of collective experience, Samson sets a new standard of excellence.? ?From our exclusive Chicago studio, we push the limits of hair replacement, using technology, design and artistry to create sensational new looks. For our less adventurous clients, we provide a welcome return to familiar and comfortable styles. Samson has been recognized by Hairloss.com as one of today’s most effective solutions to hair loss. As you consider your alternatives for hair replacement, we invite you to explore the unique services available here at Samson. Our solutions give you undetectable results that change the way you view hair loss. Specializing in male and female hair replacement, Samson can restore the natural volume and healthy look to your hair with a style that suits your attitude and lifestyle! We encourage you to schedule a complimentary consultation to discuss your personal hair replacement needs. Samson staff members will help you identify the best approach and answer your questions. This confidential, free appointment carries no obligation. Samson places the highest priorities on quality and service. We extend every courtesy and accommodation to ensure a pleasant experience. Samson’s studio is specifically designed for your comfort and privacy. We believe you’ll find our service exceptional. 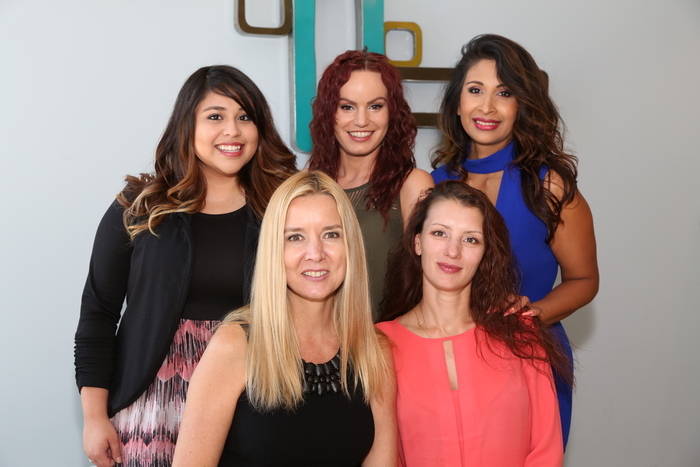 Our staff members are experienced in most techniques used in non-surgical hair replacement by other companies, enabling us to accommodate visiting or transferring clients as well. You may be able to continue your maintenance at no new investment. Samson is easy to find, conveniently located at 2056 West Chicago Ave, Chicago, IL 60622. We’re just kitty-corner from the Mariano’s grocery store on Chicago Ave, between North Damen Ave and North Hoyne Ave. It’s less than fifteen minutes to the Kennedy, the Loop and Lake Shore Drive.